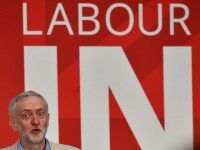 The Palestinian terror group Hamas was called “serious, hard-working and not corrupt” by UK Labour leader Jeremy Corbyn during a radio interview in which he also urged a suspension of the EU’s trade agreement with Israel. At least 25 people were killed in a suicide bomb attack at a court house in Damascus on Wednesday, state media reported, the second bomb attack in the Syrian capital in five days. 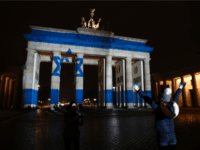 The Israeli flag was splashed across Berlin’s iconic Brandenburg Gate on Monday night as a show of German solidarity with Israel in the wake of the deadly Jerusalem terrorist attack on Sunday. Questions are being asked about whether Chattanooga killer Mohammad Youssef Abdulazeez should have been under surveillance by counterterrorist authorities before he launched his deadly attacks, killing four Marines and a Navy petty officer before he was brought down in a gun battle with police. 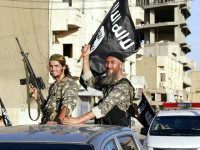 Were there “red flags” that should have tipped off investigators that Abdulazeez was a potential terrorist threat? Iran wanted something the civilized world judged it unfit to possess – including Barack Obama, up until two years ago – but they got it anyway, and they did so with a combination of actual and threatened violence. Their sponsorship of terrorist activities created those “Middle East tensions” Obama is now accepting congratulations for defusing by appeasing them. They proved they were serious about using violence, including criminal violence, to get what they want. 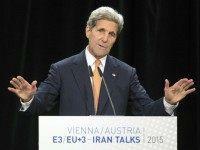 The United States and its allies, under Barack Obama’s “leadership,” is not. Iran won the war without firing a shot.